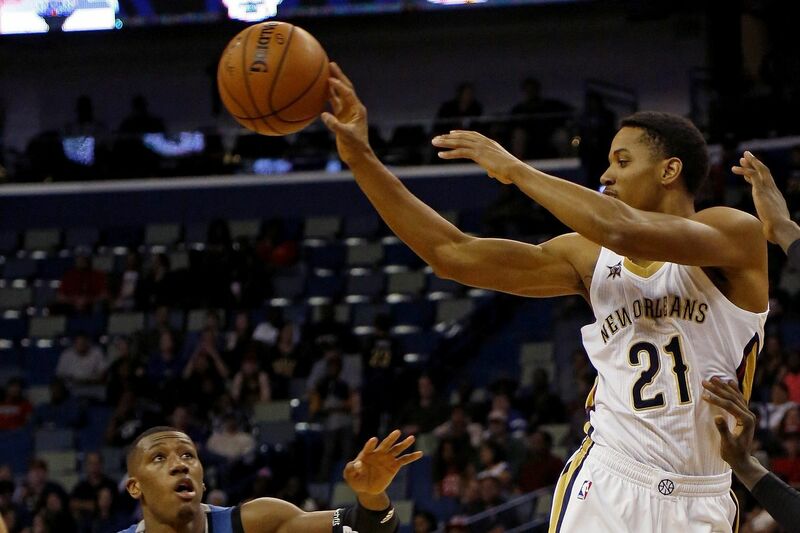 Anthony Brown (21), here making a pass for New Orleans in November 2016, has joined the Sixers. The 76ers made a move toward building a training camp roster by signing Anthony Brown on Wednesday. Since being drafted 34th overall in 2015 by the Los Angeles Lakers, the 6-foot-7 guard-forward has bounced around the G League and had minor NBA appearances. He has played in 41 NBA games, averaging 3.9 points and 2.5 rebounds, with the Lakers, New Orleans Pelicans, Orlando Magic, and most recently on a two-way contract with the Minnesota Timberwolves last season. While his NBA numbers are not eye-popping, Brown has maintained a solid reputation for his performance in the G League, where he has averaged 18.9 points, 4.9 rebounds, and 3.3 assists. The California native finished last season shooting 45.9 percent from the field and 40.4 percent from three-point range. Brown, out of Stanford, was the No. 1 overall pick in the 2016 G League draft.